According to EY’s Capital Confidence Barometer, Mining and Metal Sector, the confident level in this sector has increased drastically over a period of last 12 months. When only 38% of the mining companies were focusing on growth and expansion last year about 55% on the companies are on the verge of expansion presently. EV states the main reason for this development as the increasingly stable global economy, especially in the mature markets. During last few years the transactions in the mining and metal industry were falling down drastically. Struggles faced in capital allocation and the access to the capital challenges was stated as the reason for this down fall. Anyway the GDP growth has returned in all mature markets and this improves the credit availabilities too. Even though, the preference in this sector is still on low risk investments, which may results in mergers or acquisitions. Similarly, investors are not so enthusiastic to invest in this sector although banks and other financial institutions are ready to lend. However, this is dismissed as a fear that aroused form the experience of the past and according to experts in this sector the trend will change in favor of mining and metal sector within another six months or so. According to the experts only 57% were of the opinion that the global economy is improving about six months back and now almost 72% believe. This clearly underlines the changing mind of people who have the ability to invest. 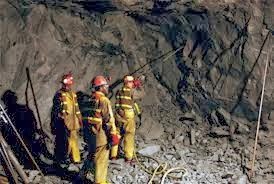 As the time passes, the apprehensions about the mining sector also will go off from their mind and they will come forward to invest here also. Many expect. Earlier also there were reports from different parts of the world about the improvements witnessed in this sector. Altogether it make us to believe that the miners are going to enjoy a bright future from next year onward.